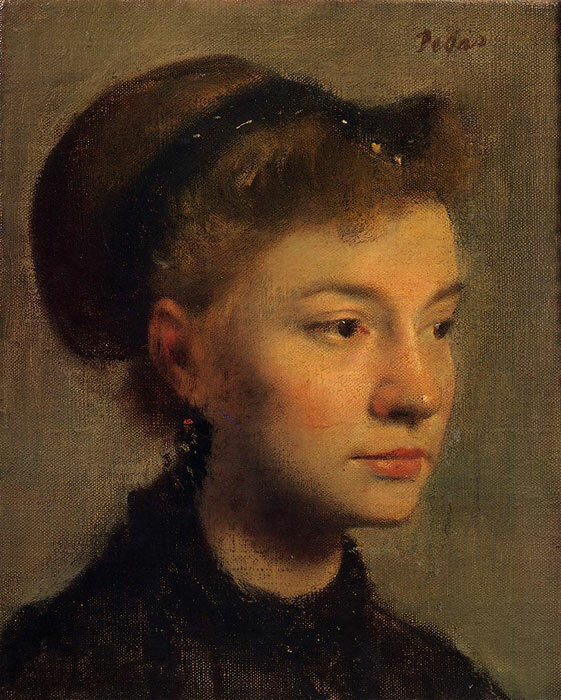 Returning to Paris in 1859, Degas painted portraits of his family and friends and a number of historical subjects, in which he combined classical and romantic styles. In Paris, Degas came to know Edouard Manet, and in the late 1860s he turned to contemporary themes, painting both theatrical scenes and portraits with a strong emphasis on the social and intellectual implications of props and setting. SPECIAL NOTE : The painter will make the reproduction as close to the original oil painting as possible. If you want your painting to alter from this likeness, please email us and " Head of a Young Woman, 1867 " will be reproduced according to your special requirements.